I seem to have a theme this Halloween season. 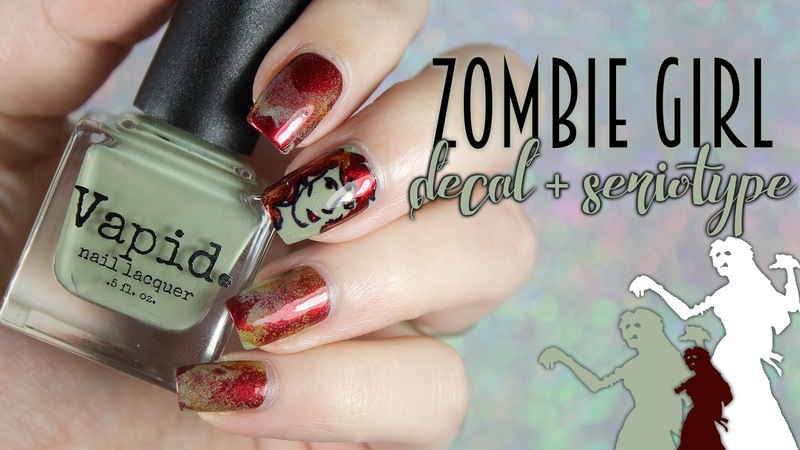 It is all greens and zombies and blood...and I like it. This time, I decided to try something newish: drawing on a nail polish decal with a Sharpie. I knew that Sharpies did well for art, because I used it a bunch last year...but I hadn't yet tried a decal. 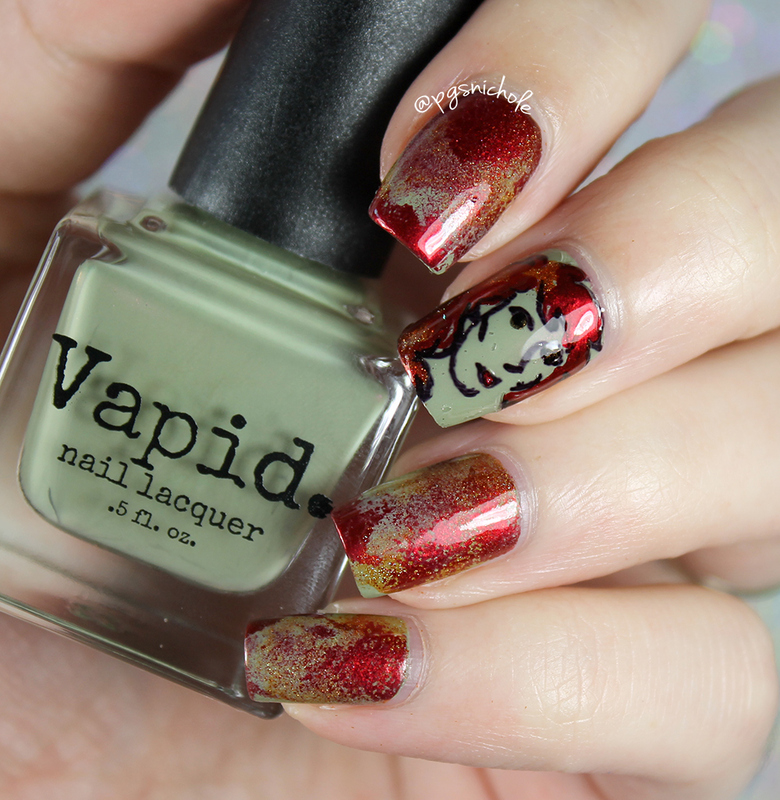 I couldn't not do a seriotype with the firey shades from Vapid's fall lineup. They were asking for it. So I figured I would just do a decal as an accent...it turned out pretty awesomely, if I do say so myself. Because I am totally unbiased. Now that I have proof of concept, I will definitely be trying some more intricate doodles. How about you? Ready to jump right into some hand-drawn art for the holiday? That funky green Vapid is lovely! As for your zombie girl, she looks pretty damn good for being undead haha. This is a fun mani - I love the decal you created. At first I thought it was a stamping plate! The colors you used over the Vapid are striking! Wow!! 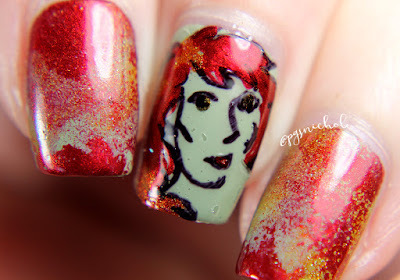 Love the colors you put together, and awesome freehand!!! It's been so long since we've seen a Serio-type. This is a great mani! That art is amazing! 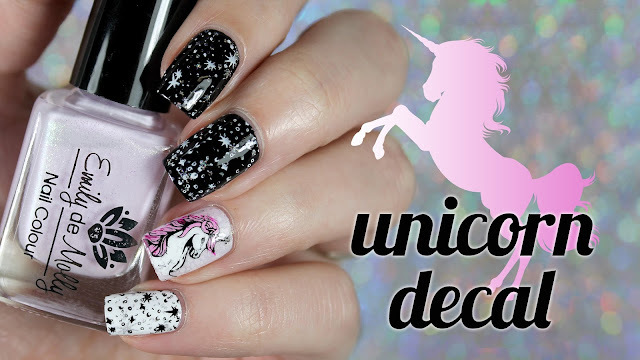 Fantastic mani! I love that decal you made! I just got a set of nail art pens from a colleague, so I'm going to try some hand-drawn nail art soon! If I ever saw a zombie, I would want her to look like your art! Ooooooo this color is beautiful!! I'm not keen on zombies, but this color is great. Makes me wish Vapid and I got along so I could get this! The polishes all work so well together! I'm loving how your seriotype turned out! I love using Sharpies for nail art! I find it helps to use a matte top coat on the polish right before you draw over it, it helps the color stay put and keeps it from sliding around. This is a really cool look! This is completely spectacular. You have such an amazing eye! No I'm not ready... my hand paint needs a lot of help. And I'm not ready for the holidays either...they are coming up too quickly. Aaaw, she's so cool. I love your zombie girl. 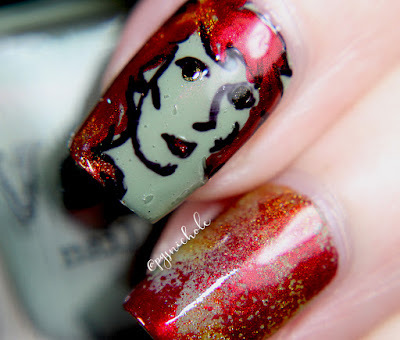 Fantastic nail art! Those colours are amazing! I am speechless. Nope, yours is definitely better, more technically advanced and unique! That is the perfect zombie green..love it! I like the zombies that you done in the header of the post - looks fab! 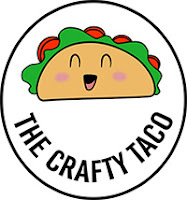 Fun concept! Plus these colors! I wouldn't have thought to pair that red and green together, but it works so well! Bravo! Gorgeous mani. Did you freehanded that decal? It looks pretty awesome! Oh wow!!!! This is so awesome! I love the zombie!!! Love the colors and the decal - worked so well together! Oh wow, I love this manicure. Totally appropriate for the season! Girl yes, these are so cute! !